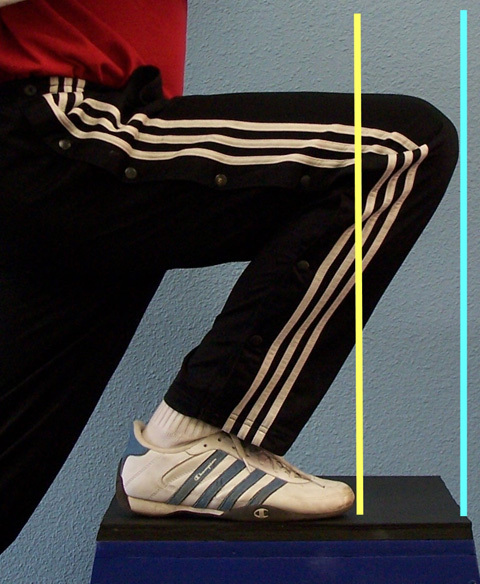 The squat is the cornerstone of nearly all well-designed training programs. Often referred to as the The King Lift, it’s an extraordinarily versatile movement which makes it easy to accommodate for individual needs, goals, and preferences. 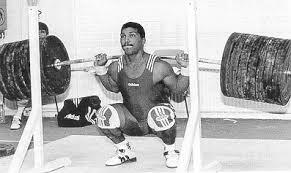 Being a complex, multi-joint movement, proper execution of the squat requires sufficient mobility around all joints in both the lower and upper extremities. While lower body mobility is obviously paramount, insufficient mobility in the glenohumeral (shoulder) joint and thoracic spine can be just as detrimental to squat performance as immobility in the ankles and hips. 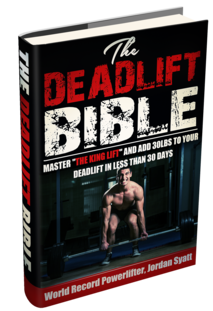 In this article I’m going to address the most common mobility restrictions affecting the squat and show you how to mitigate them by utilizing the best mobility exercises for a stronger squat. 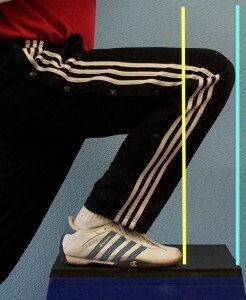 Insufficient ankle mobility is arguably the most commonly overlooked component affecting the Squat. Insignificant thought it may seem, a lack of ankle mobility can lead to a host of problems up the kinetic chain and drastically influence Squat performance. 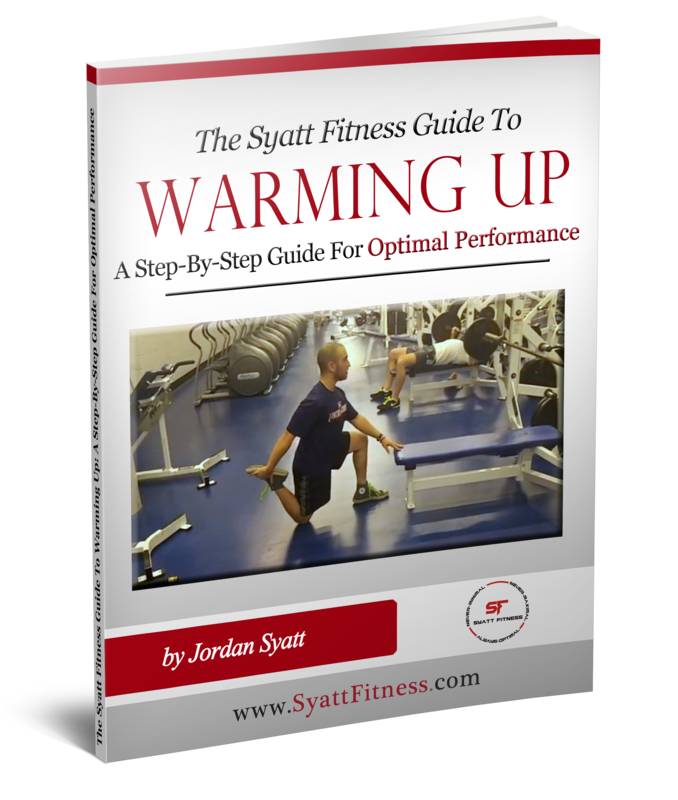 Perform 1-3 sets of 8-12 repetitions every day as well as prior to strength training as part of a well-designed warm-up. In addition to the drills mentioned above, this section would be incomplete without mentioning self myofascial release (SMR) and it’s role in improving ankle mobility. Specifically, through using various tools such as foam rollers and lacrosse/tennis balls, we can target localized adhesion’s in the foot (plantar fascia) and calf musculature to improve ankle mobility. Watch the video below – and pay special attention to the foot and calf rolling – for a complete description of how to utilize SMR to your advantage. Hip mobility is the most obvious issue of the bunch. With insufficient hip mobility it’s more or less impossible to hit adequate depth while maintaining proper form. It’s important to note that what is often believed to be a lack of hip mobility, is truly a lack of stability. 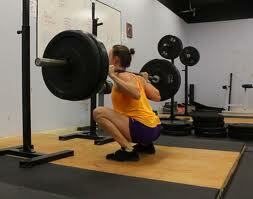 To illustrate, many beginner trainees (notably women) have a hard time sinking into a deep bodyweight Squat. Interestingly, though, if you ask them to hold a 10-pound weight in front of their chest (i.e. a Goblet Squat) they fall right into the perfect Squatting pattern. The reason for this is a lack of stability. To fix this it’s important not to stretch them out or force them to perform more mobility drills. Instead we must teach them how to use their “core” effectively. The importance of achieving and maintaining adequate T-Spine mobility cannot be overstated. What many coaches and trainees fail to realize is that mobility – or a lack thereof – in the T-Spine drastically influences function both up and down the kinetic chain. Step 1: While sitting upright in your chair, slouch your upper back into conventionally labeled “poor posture.” From this position, try to raise your arms straight up and over your head as far as they can go. Pretty hard, huh? Maybe even a bit of pain? Step 2: Now, sit straight up into what we regularly label as “good posture.” From this position, try to raise your arms straight up and over your head as far as they can go. Much easier, right? A much larger range of motion, too. From this simple drill we can see how poor posture – and specifically inadequate t-spine mobility – can lead to other issues in the body such as insufficient shoulder mobility. Specific to the Squat, poor T-Spine mobility can contribute to a variety of issues which may not only decrease the efficiency of the lift but also increase the likelihood of sustaining serious injury. Want to Maximize Your Mobility in Less Than 10-Minutes? 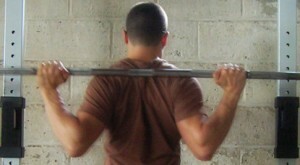 Shoulder mobility is another commonly overlooked component related to Squat performance. While it may appear to be inconsequential, insufficient shoulder mobility (and specifically external rotation) can make it exceedingly difficult to get your arms in the right position. Take, for example, the picture above. 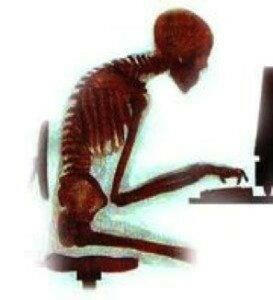 How easy do you think it would be to get in this position if you lacked adequate shoulder mobility? It wouldn’t be easy at all. Not to mention, it would probably be extraordinarily painful. To fix these issues we can incorporate numerous strategies into our programming. While this article focused on the mobility exercises for a stronger squat, the overarching lesson is to understand that every bodily movement is affected by seemingly unrelated structures up and down the kinetic chain. The success of any movement, whether it’s squatting, pitching a baseball, or simply walking, is dependent on the co-involvement of every contributing structure within the human body. Use this information to your advantage and apply it to all aspects of your life be it performance, general health, or injury rehabilitation.